We conditionally guarantee all work performed by George’s Auto Body for as long as you own your vehicle. 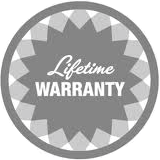 This warranty covers repairs made necessary due to workmanship (excluding parts and materials covered by manufacturer’s warranty) and said repairs must be performed by George’s Auto Body. alteration, accident or rust. Partial repairs insisted upon and so ordered by the client are not covered under this warranty nor will George’s Auto Body accept liability for such repairs.